One of the very few noteworthy structures on Wake Forest Road near the beltline is set to be razed. The 1960s era former Fire Station Four above will soon be replaced with a mattress store. 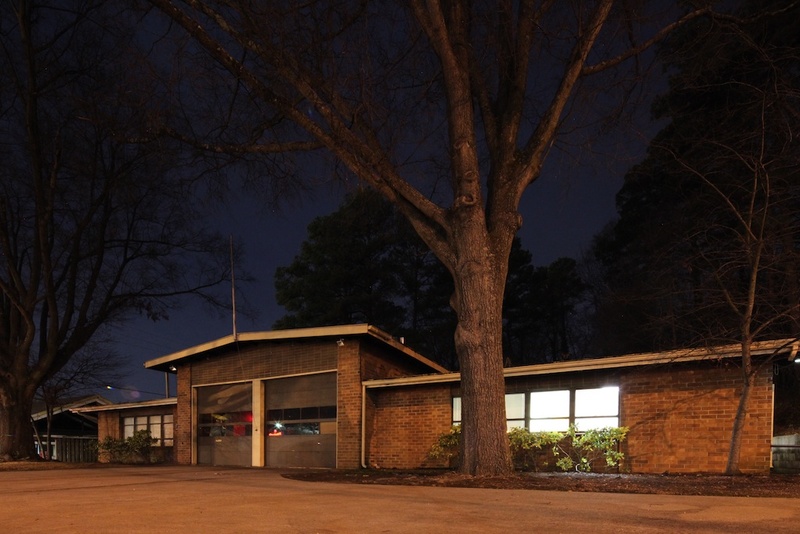 The old fire station is home to Oak City Coffee Roasters, and the company is having an open house on Saturday. If you’d like to see how coffee is roasted or just see the old fire station before it’s destroyed, now is your chance. 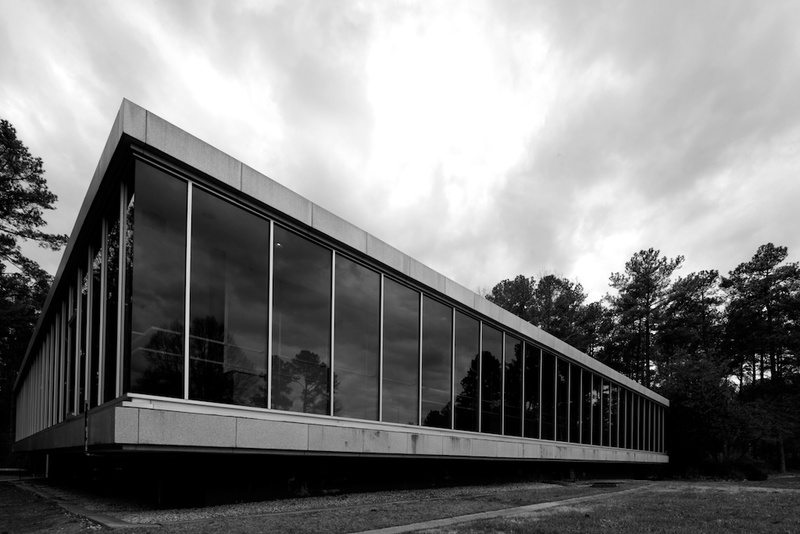 Hidden in a leafy green campus of Research Triangle Park is a treasure of a modernist building in the International Style: the headquarters for the American Association of Textile Chemists and Colorists. After a long demolition process that lasted about a week, the last remaining section of 401 Oberlin Road was finally torn down. 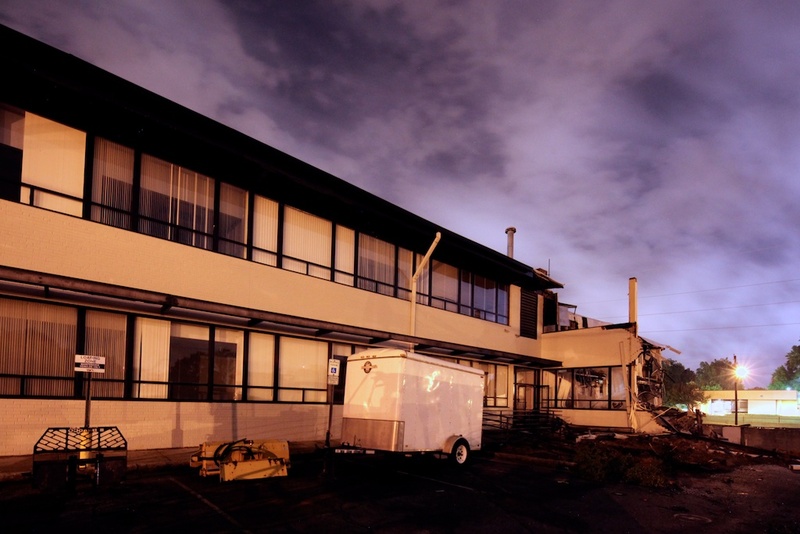 The once beautiful midcentury modern building was razed in order to make way for a multifamily rental structure. A lesser known bit of trivia about this building is the purpose it served during the Cold War. 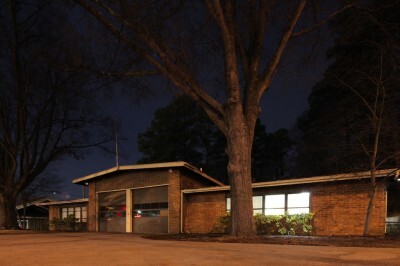 The basement contained a secret civil defense bunker for the U.S. Government to be used in the event of a nuclear attack.